I can create the perfect diamond ring for anyone. If you have diamond pieces that you would like me to use, I can incorporate them into the design of your one-of-a-kind ring. 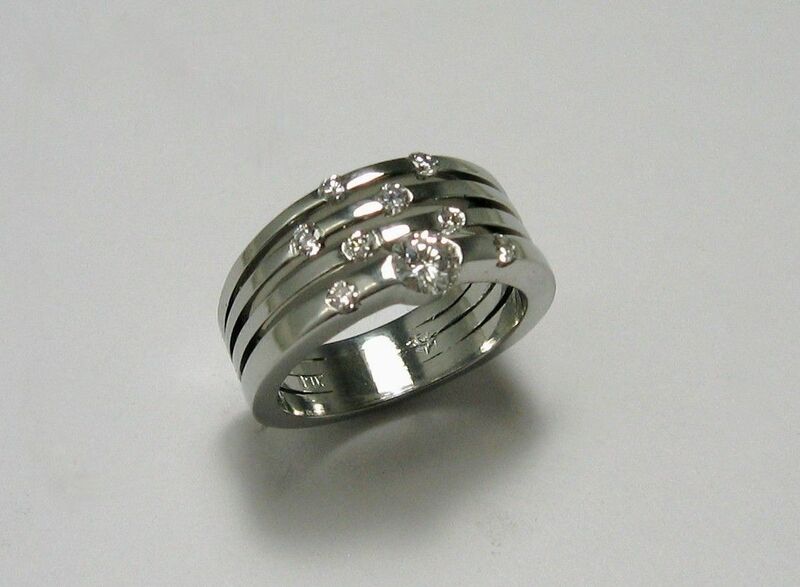 The piece measures around 10mm wide, but can change depending on the size of the diamond studs.